Maura McCarthy, co-owner of Blu Homes, has announced another round of funding to be used to build model homes in targeted areas where Blu Homes is growing in popularity. After all the things I've written about them, they are finally, in my humble opinion, starting to show some corporate maturity in their marketing efforts. Hopefully they will build a model in Hartford County, MD or in the Leesburg, VA area so that I can visit it and enjoy some wine and cheese. Today's Wall Street Journal had this to say about Blu Homes' funding efforts. 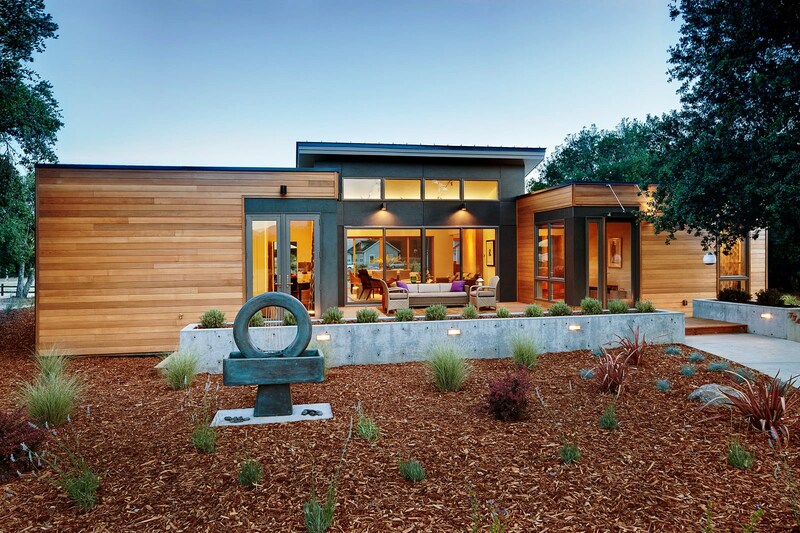 Blu Homes, a maker of pre-fabricated eco-friendly houses, has raised a fresh $65 million equity round in the form of common shares, continuing a practice that has brought its total investment to $130 million in all-common shares, Chief Executive Bill Haney told VentureWire. The company, started by Mr. Haney and Maura McCarthy in 2008, was valued at $400 million post-money with the latest round, said Mr. Haney. This, he said, is likely to be the company’s last round as a privately held company. Wow!! Coach what do you mean by their showing corporate maturity in their marketing efforts. Is this lately? or are they threatening to throw marketing dollars at you? Dennis Michaud. Must have seemed like a third wheel to Maura. Doing research on the raise...we'll get to the truth, anyone? WTF! Coach, have you lost your mind? You are featuring Blu Homes as a legitimate modular factory worthy of being in you blog. Next you'll take an ad from them and it will confirm that Maura and Bill are the ultimate grifters. 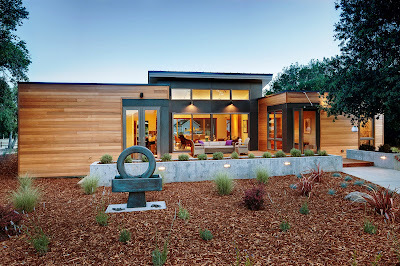 This home looks really impressive for a modular home. I've never seen that kind of outside siding before. It looks like a wood floor. Very rustic modern design! Just heard from Dennis and he is still very much an important part of of Blu Homes. Thanks coach. The original poster seems to have sour grapes and is posting mis information to further their attack. Maura is not married to Bill, yet. I am sure the 2% number is bogus too. I just don't understand all the animosity towards Blu Homes and specifically, Maura McCarthy from the readers on this blog. Let's look at the big picture together. Blu Homes, however you may feel about them and their "wine & cheese" press release events, is really doing something for the modular industry that no other company ever has...THEY HAVE PEOPLE TALKING ABOUT THEM AND THEIR PRODUCTS!! Regardless of the discussion, people in all facets of the modular marketplace - Finance, Design, Construction, and Marketing/Sales, are talking about Blu Homes. Kudos to Maura, Bill, and the Blu Homes team, for not only raising multi-millions of dollars in funding in the mod space, but raising the interest of mod housing and becoming and staying relevant. Your points are well taken about Blu Homes doing some good things. I think the concern is that they have the potential to be the Enron of the modular industry. They are raising enormous amounts of capital and making big public relations splashes. Yet, anyone with a reasonable understanding of the manufacturer or builder side of this business can not see any way in which they could be close to profitable. They may be copying the internet start up model of trying to gain big market share then either sell out or get big/profitable. I just don't think that works in the home building industry. It would seem there are some on this blog that just don't like it when others do something unique. Lord knows this industry needs new and unique efforts. It just seems that Blu is more about being seen as cool and unique than they are about building a home building business. Kudos to the prior poster! This is exactly what the comments toward Blu are about. Their business model is sideways, as in, making no money. Their houses are pretty average, if not poor, quality. An their pricing is way out of whack, as in, expensive. They give the rest of the industry a bad name. The issue people take about the founders is that they come across and clueless, foolish and arrogant. One seems like a super aggressive inexperienced protégé/mouthpiece. The other seems like a snake oil salesmen who runs the company as a part time business.